Most cars are produced for commuting to workplace or taking children to school and manufacturers like Toyota, GM or Volkswagen enjoy selling millions of vehicles annually. But there is also a rare breed of exotic cars meant to impress, deliver emotions and become a pipedream for millions of car enthusiasts. These cars have limited production numbers, they are usually hand-built and often get more expensive as time goes by. Their previews often start with ‘the most’ word while people take out cameras when happen to see them on the streets. They are only affordable to celebrities and top businessmen but are recognized all over the world. 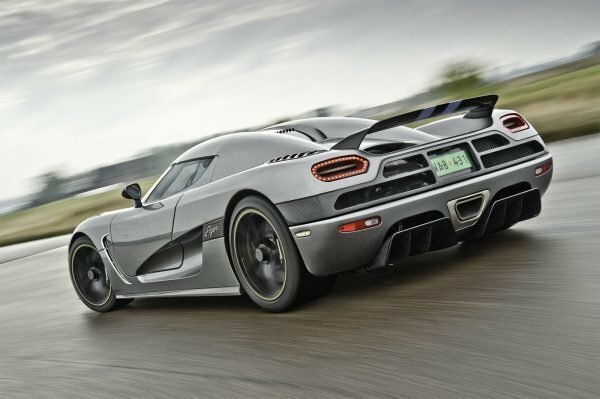 Here is the list of the most exotic cars in the world. It might not be the most exclusive or fastest car on the market. But it is probably the most affordable plug-in hybrid sports car. And it’s extremely attractive, too. If you are not ready for a fully electric car like Tesla or not rich enough to have a McLaren P1 or Porsche 918 Spyder, BMW i8 is a great option. The 1.5 L turbo-charged petrol engine is accompanied by 98 kW electric motor to deliver a total 357 hp and 420 lb·ft of torque. The car’s combined fuel economy averages 71 mpg and the range reaches 300 miles. Priced at $135,925 in US, i8 offers classy BMW interior, butterfly doors and aggressive exterior design, making it a relatively affordable exotic car. Lexus is probably not the first manufacturer that comes up to your mind when talking about exotic cars. However, it’s got a model that originally cost $375,000 and only 500 units of which were built. It is called LFA. The embodiment of the Japanese automotive genius, Lexus LFA comprises the best engineering achievements of the world’s largest car manufacturer. Meticulously hand-built in Toyota City, this super car is fantastic both on the road and on track. The 4.8 L V8 engine produces around 560 hp and 480 N·m of torque. This power is delivered to rear wheels through the 6-speed sequential gearbox and accelerates LFA to 60 mph in 3.6 seconds. The top speed is 203 mph. 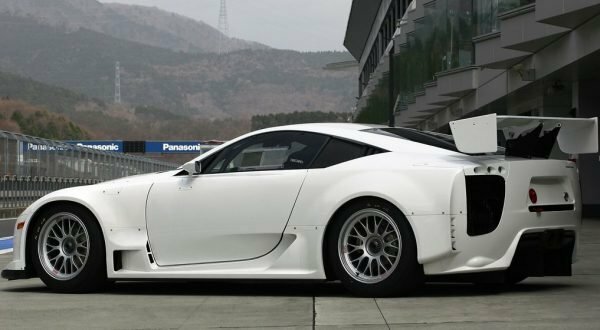 The ultimate versions of the most exotic Japanese super car were named The Nürburgring Edition and registered one of the best times on the famous German track. Never meant to be a profitable project, the LFA is a demonstration of Toyota’s technical superiority. Mercedes-Benz SLS AMG, built from 2010 to 2014, was the last Mercedes to feature gull-wing doors and a remarkable 6.2 L naturally aspirated V8 engine, producing from 563 to 622 hp and 650 N·m of torque. This luxury grand tourer was designed as a successor to the legendary 300SL coupe from the 1950s and was the soul of the company’s lineup. 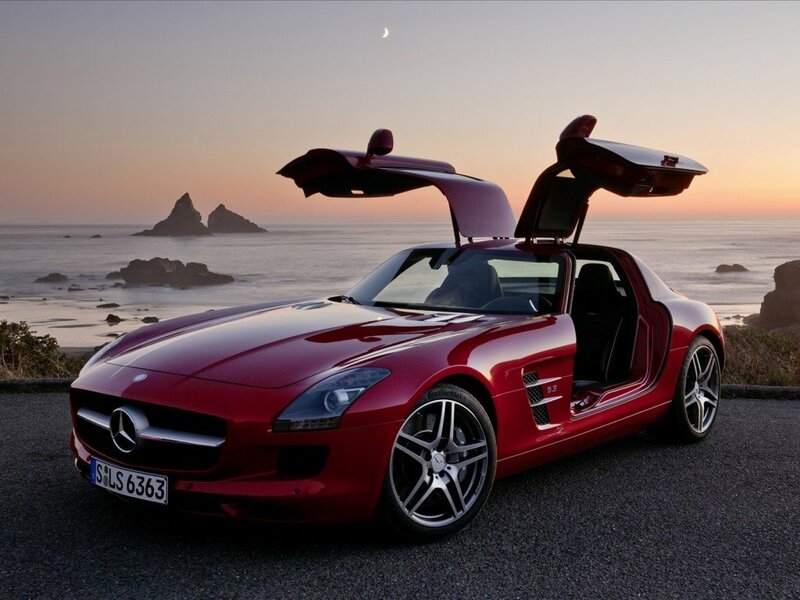 Produced as a coupe or roadster, SLS AMG was Mercedes’ tribute to its glorious heritage in automobile design and engineering. In 2014 SLS AMG was replaced with a more conventional and ecological Mercedes AMG GT. Porsche is not the most exotic car manufacturer, but its 918 Spyder definitely is a masterpiece of automobile engineering. 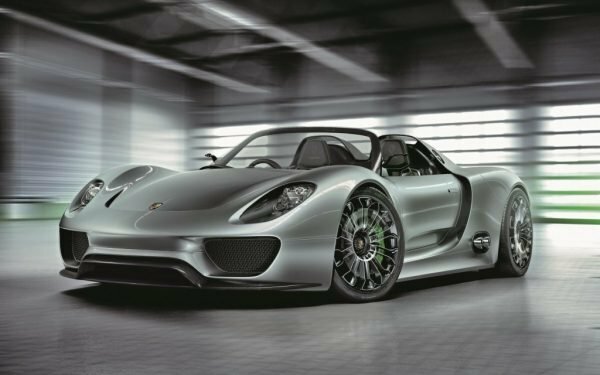 This all wheel drive plug-in hybrid, only 918 of which are to be built, is one of the fastest road legal cars ever made. Powered by a combination of naturally aspirated 4.6 L V8 engine and two electric motors, the super car accelerates to 60 mph in just 2.5 seconds and reaches the maximum speed of 210 mph. It is officially the only road legal car that ran the Nürburgring lap in under 7 minutes. Ironically, the CO2 emissions are lower than those of Toyota Prius. Porsche 918 Spyder is an iconic exotic car setting standards for the future of super cars. 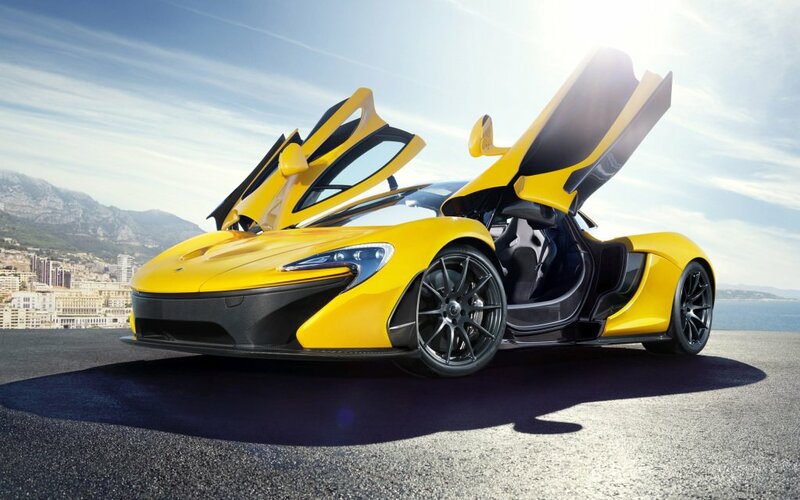 McLaren is an exclusive British super car manufacturer itself. But its flagship model P1 is an exotic model even by the company’s standards. Only 375 of these ultimate plug-in hybrid monsters were built initially and another 35 GTR versions set to be produced. The powerplant, consisting of the 3.8 twin-turbocharged V8 and electric motor, produces 916 hp and 722 lb-ft of torque. Embracing hybrid and Formula 1 technologies, P1 is an ultimate exotic new-era supercar today, but probably shows us how the supercars will look like in the nearest future. All of them were sold out in the first month of production despite a $1 million price tag. Venom GT is a unique supercar engineered by US-based tuning house Hennessey to demonstrate the company’s abilities and produced in England. 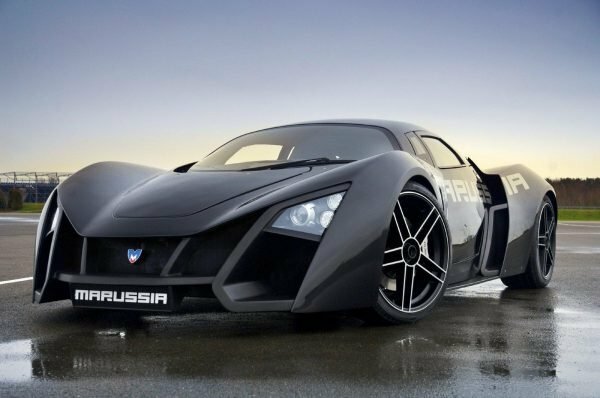 The manufacturer claimed it to be the fastest production car in the world, but failed to register the record. Anyway, the GM 7.0 L twin-turbocharged V8 engine, installed in a highly modified Lotus Exige chassis produces up to incredible 1,200 hp and 1,155 lb·ft of torque, which makes it a racing monster. 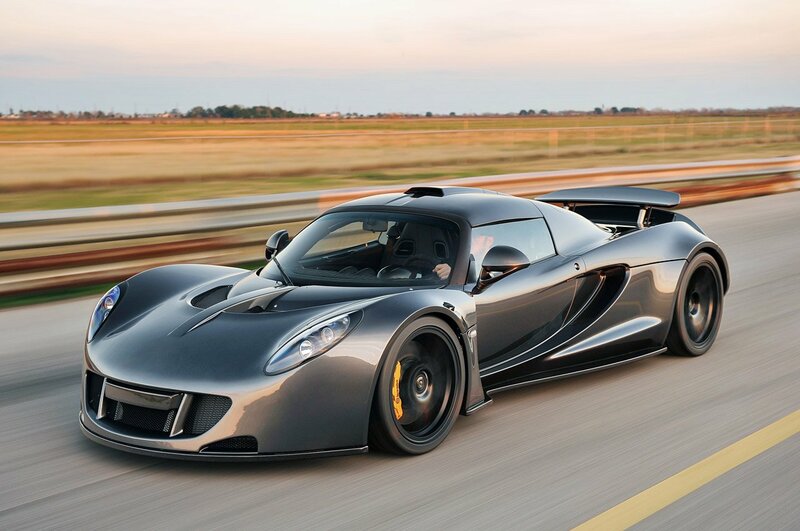 With a total of just 16 vehicles made, Venom GT is one of the most exotic cars in the world and the fastest American car. 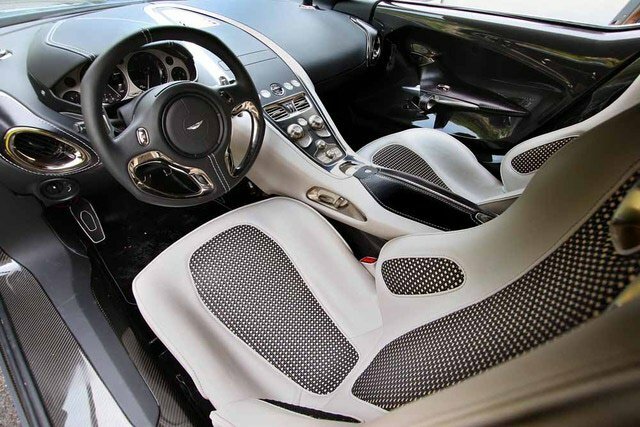 Aston Martin is the special breed of super car manufacturers, the one that makes its vehicles not only fast, but posh and somewhat noble, too. But if most of its models can be seen on the streets, there is one that is a rare bird to catch. Aston Martin One-77 was produced from 2009 to 2012 and only 77 of these were built. One-77 is a James Bond among the supercars. Elegant, fit and capable of acting really fast. Its naturally aspirated 7.3 L V12 engine delivers a staggering 750 hp and 750 Nm of torque, pushing the exclusive coupe to the maximum speed of 220 mph. The hand-made cars were sold at around $2 million. Veneno is Lamborghini’s celebration of the company’s 50th anniversary. Based on the flagship Aventador model and named after a fighting bull, Veneno is powered by a classic naturally aspirated 6.5 L V12 engine delivering 740 hp. Veneno is remarkable for its brutal chopped design, making the vehicle extremely aerodynamic and impossible to pass by. Only four units were built with the first one going to Lamborghini museum. The other three, painted green, white and red to represent the colors of Italian flag, were sold at a staggering price of over €3 million. 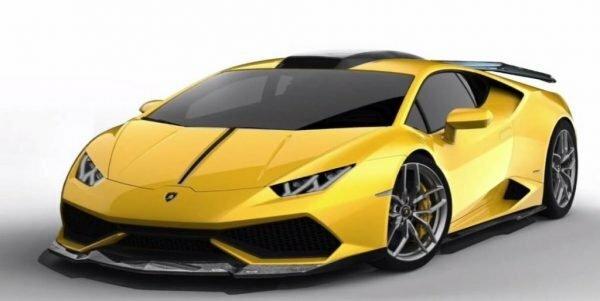 Naturally, this most exotic car from Lamborgini was never tested on track. The Swedish supercar manufacturer has been around for a while and earned a good reputation in the business. However, in 2015 they introduced an innovative, limited production model called Regera that is going to become the fastest accelerating street legal car in the world. It’s a plug-in hybrid vehicle, powered by three electric motors and a 5.0 L V8 twin-turbo engine. The total simultaneous power output is approximately 1,500 hp, which is transmitted to rear wheels through one-speed fixed gear. The manufacturer claims Regera will be able to reach the maximum speed of 255 mph and run up to 22 miles on electric drive only. Even if you are willing to spend $2 million on the Swedish hyper car, it’s probably too late as there will only be 80 made. What can be a more exotic car than the fastest road legal vehicle ever made? No other car matches Bugatti Veyron in what they call ‘wow effect’. The Super Sport version is powered by 8.0 L W16 quad-turbocharged engine, delivering unbelievable 1,200 hp and immense torque of 1,100 lb·ft. Such Veyron achieved the record maximum speed of 267.8 mph and accelerates to 60 mph in 2.4 seconds. 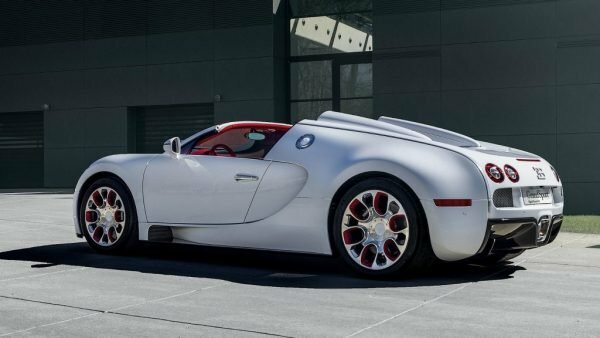 The official price tag of $2.5 million did not cover Volkswagen Group’s investments in Veyron design and production. This supercar was made to impress, set records and show unlimited engineering possibilities of the German manufacturer.